A couple of months ago, I talked about a paper from the Sigal lab,1 that demonstrated a role for cytotoxic T lymphocytes (CTL) in protecting mice against ectromelia infection very early after infection. 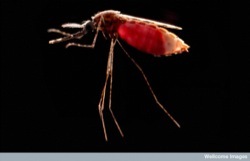 A recent paper in Nature Medicine2 makes a remarkably similar observation with malaria. But I’m not here to be snarky about malaria vaccines, especially since I really don’t know much about the subject. Instead, let’s focus on the similarities between this parasite and the poxvirus ectromelia. Both establish an initial infection in the skin — the parasite, through a mosquito bite; the virus, through superficial cuts and scratches. They both then trickle out slowly from this initial site and seed the liver, where they both replicate extensively. Both then spread through the blood (viremia or parasitemia). That second difference leads to a critical difference in interpretation. 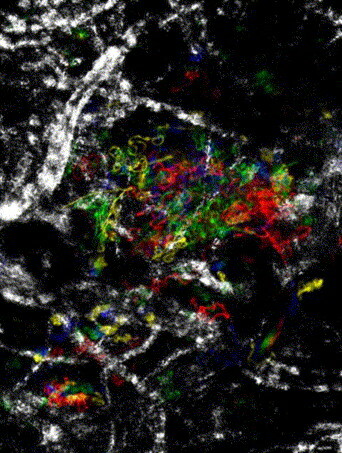 Sigal’s group observed ectromelia-specific CTL in the draining lymph node very early (3 days after infection). Because ectromelia travels through the lymph to the liver, they conclude that the CTL were probably protecting the mice by killing ectromelia-infected cells in the lymph nodes. We show that a protective anti-sporozoite CD8+ T-cell response, however, originates early in lymphoid tissues linked not to the liver but to the cutaneous infection site. … In fact, we did not find appreciable evidence for CD8+ T-cell priming in the CLN, although the target antigen in this model (circumsporozoite protein) is expressed by sporozoites in early phases of liver infection. I said (about the ectromelia paper): “One caveat I have is that I’m not convinced that the draining lymph node is the critical spot. At least in this paper, it’s shown that CTL are active there, but not that CTL activity in the node is essential. It’s also possible that the virus spreads through some other route, and that other route is also blocked by CTL.” Luis6 tells me he agrees that’s a possibility and was already working on ways to test it. The malaria paper might strengthen that possibility, but I think the diseases actually are different enough that it’s still not clear how applicable the one is to the other. Both papers, though, give a new appreciation for the power and flexibility of CTL. This entry is filed under Immunology, Parasites, Science, Vaccines. You can follow any responses to this entry through the RSS 2.0 feed. Both comments and pings are currently closed.